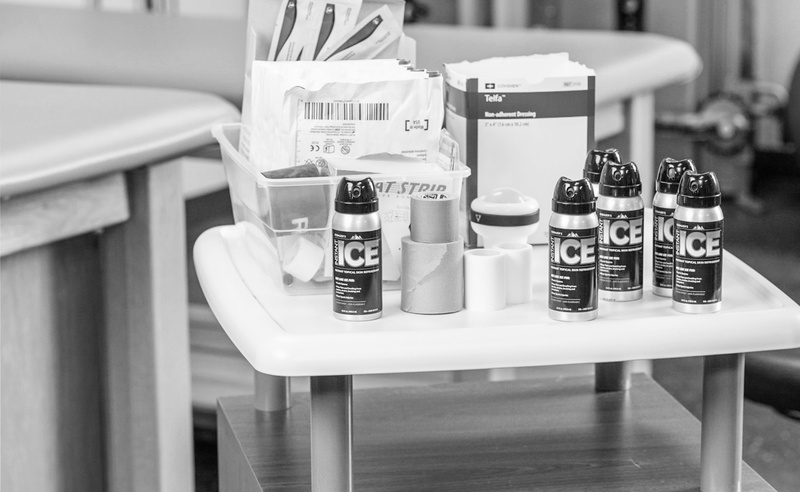 View our FAQs to see the answers to some of the most common questions athletes and athletic trainers have about Instant Ice. On which types of injuries can Instant Ice be used? Instant Ice can be used to temporarily relieve muscle spasms and treat minor sports injuries such as contusions, sprains and strains. Does Instant Ice require a prescription? No, Instant Ice is an FDA-Cleared, over-the-counter product that can be used by non-medical professionals. Does Instant Ice have an odor? Instant Ice does not have any harsh or unpleasant odors. How does Instant Ice work? Once Instant Ice touches the skin, it rapidly evaporates which temporarily drops the skin’s surface temperature. How long does Instant Ice last? Instant Ice has approximately 50, 5-second sprays. How much does Instant Ice cost? Instant Ice can vary in cost depending on the distributor. To purchase Instant Ice directly for $19.99, visit our Buy Now page. Refund and Return Policy: Instant Ice is satisfaction guaranteed. If you are unhappy or have an issue with Instant Ice, please reach out to us directly for assistance at 1-800-321-9348. Product will be refunded or replaced if contacted before the product expiration date found on the bottom of the can. How quickly does Instant Ice begin working? Like the name implies, Instant Ice starts to work instantly! The smallest dose needed to produce the cooling effect should be used. Stop spraying as soon as the skin turns white. Reapply Instant Ice as needed. Can Instant Ice stain clothing? Instant Ice is non-staining. Feel free to spray the injured area through your jersey, socks, etc.! What does Instant Ice feel like? Instant Ice is certainly cold! It dries instantly when sprayed. There is no mess or dripping.